The PTSA has planned a full year of events for everyone to enjoy the many programs that help enrich our students' lives. 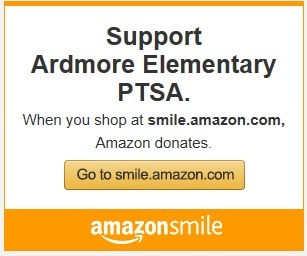 The PTSA is 100% run by volunteers, 100% funded by donations, and we rely completely on your help. YOU make up our PTSA and make all these events and programs possible. How to spend this year's donations? We encourage all families who can to donate at least $100 per child, especially if your employer offers a donation-matching program. Nearly half our students qualify for assistance, so please consider increasing your donation if you're financially able to do so. Students can also ask family, friends, and neighbors for donations. Pledge sheets have been sent home. If you need more, please see the email address below to request additional pledge sheets. You can also donate online! Click the yellow "Donate" button above. Every cent counts towards the big picture!